Work Location: Khyala Industrial Area, New Delhi, India. Available Color: Black, Red, etc. We offer Custom Molding to our clients. We have latest technology support that helps us in keeping pace with ever-changing industry demands like auto helmets, presentation products, & glaze. Our complete range is methodically tested in our quality-testing laboratory and further delivered to our respected clients extended across the sphere. 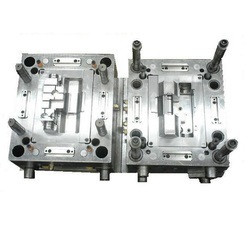 Further, these are widely used for manufacturing a variety of parts. 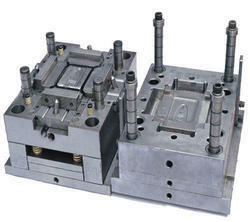 We offer Injection moulded solutions for a wide range of applications. If you have a need for an injection-molded custom plastic part, we can help. Let us partner with you to develop a plan that addresses your specific goals. With molding equipment from 50 to 300 ton and flexible tooling designs, TBL can help you to meet you economic goals. Our in-house CAD design team will work with you to create a high performance and economical solution for your process. For expert plastics and metal machining Modern Plastics has over 60 years of experience. We can offer this service to you with speedy quoting and fast product turnaround, with assurances of a superior quality product. Our ISO certified company follows strict quality standards and our vast list of inspection equipment is certified and calibrated.